What is John Mackey, CEO of Whole Foods Market up to – and what does it have to do with The Plant-Based Journey? 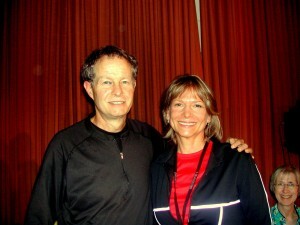 With John Mackey, CEO of Whole Foods Market, when we first met in 2012. What percentage of whole plant-based foods should we aspire to, and how does that compare with what most Americans get? If we were to design a diet to kill people, or at least make them obese, what would it look like? What is adviseable for transition to plant-based – over time or overnight? 50% of our land water resources are gobbled up by….? What’s Afghanistan got to do with it? And yoga pants, for that matter? When your body is stuck in cement, what happens to your brain? What do Kaiser Hospital and American Nutrition and Dietetics have in common? Listen NOW to the interview! 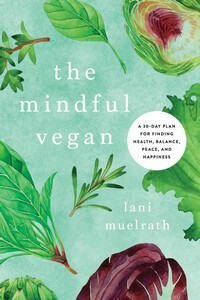 Listen via the video above, download the NPR interview of Lani Muelrath with Nancy Weigman, host, or listen to the recording directly on the NSPR site here. P.S. I always love being on this show – it’s my fourth time – and I can’t wait to hear what you think of the interview. Please leave your thoughts below, or drop me an email at lani@lanimuelrath.com. We Larry and myself are trying to follow plant based diet and this is proving to be challenging. Hi Margaret, thank you for sharing here about your process. Where are you located? 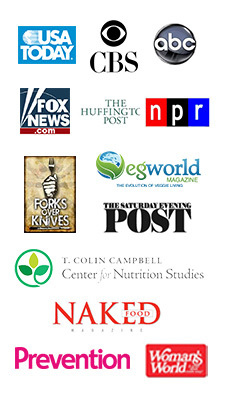 I would love to meet you and Larry, and have been and will be presenting at quite a few locations in the weeks and months ahead about The Plant-Based Journey. The book is full of ideas of how to make incremental changes to move yourself in decided steps toward your goal. Have you a copy of Journey yet? I think you will find her to be extremely helpful with knowing where to start and how to make sustainable progress on your plate! Lani, love this recording and sharing with friends. It is informative and so relaxed and conversant – I felt like I was in the room with you and Nancy and wish it could have gone on longer. The yoga pants story is great – what did you mean when you said to Nancy “you understand this” or something like that. 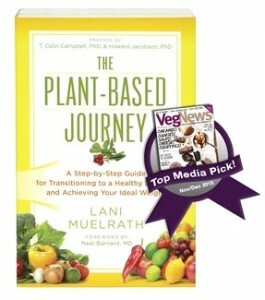 My copy of Plantbased Journey just arrived and I can’t wait to start reading! A friend just shared this with me and I really enjoyed listening in. How great that you did such extensive surveying for your book Plant-Based Journey. I have never heard of an author doing that before and it’s obviously given such valuable information for you to share with your readers. Your book is phenomenal. It makes me feel confident of making a change to a healthier lifestyle in a whole new way, with specific steps and things to do that can take me ahead. 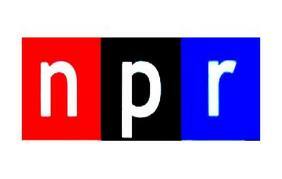 Michael, thank you so much and thanks to your friend for linking you to the NPR recording. I deeply value those surveys too, everyone was so generous with their thoughts and experiences about what worked and what didn’t, and what they would suggest. Keep me posted as you venture forward! I’ve been a vegan for 4 years now and I started menopause at the beginning of this year and I’ve gained 15 lbs. 🙁 I can’t get it off. My Dr. says to just try not to gain anymore. Really?!?! I don’t take any hormones for the hot flashes or for anything, but the natural stuff is starting to stop working for my hot flashes. Any advice on these 2 things? Sorry to hear about these challenges you are experiencing. And doc says “Try not to gain more”??? The audacity! Menopause can trigger inexplicable weight gain. I also started a shift up that was not related to my activity level or diet – but I did decide to eat better than ever, and it slowed and stopped the gain that then slowly dropped again, it did take some time. I had to be more careful about eating richer and processed foods as I seemed to gain more easily with them than before this time. This has been several years for me now, however, and it is not an irreversible train though you may need to be more tuned in to the quality of your food and our natural tendency to be a decreasingly active as we move through time, even if getting our workouts in! THe more unprocessed and fiber full your food, the better, I find. As for hormonal question, I must leave that to the experts and maybe you can find a more conscious doc to consult? I know in these times of “affordable health care” it can be harder than ever.